Advance Auto Parts was established in 1932 and they’ve primarily reached their target audience through TV, print and their retail locations, but have encountered stiff competition in the internet age. Advance Auto Parts have recently shifted broadcast budget away from traditional channels and are seeking ways to stand out from the competition in our mobile connected world. Advance Auto reached out to Influencer Connect to come up with a solution other than search and display. Influencer Connect has a pre-vetted network of over 7,500 content creators, spanning blogs, social media and YouTube. 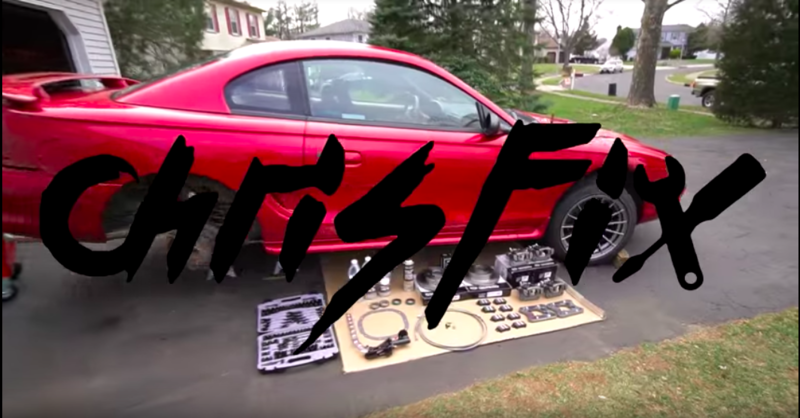 After consulting the brand, the decision was made to focus exclusively on YouTube, and lock in on the rising star of DIY auto channels: Chris Fix. Chris’s channel was near ~800K subscribers when our talks began and had grown to 1.8mm by the time the final video went live. Authenticity and storytelling resonate best in digital world where everyone is vying for attention, and our plan was to integrate specific jobs – and the parts from Advance Auto necessary to fix them – into “how to” content on Chris’s channel. The plan included four original videos and social sharing of images from the raw footage. Advance Auto loved the results! They even exceeded our expectations. The four videos in aggregate received almost 5,000,000 views and continues to grow! One of the benefits of YouTube is there’s usually a healthy gap from when a brand signs on with a channel to when the campaign runs. In that time frame, the channel continues to grow and acquire new subscribers. That happened here as outlined above. As a result, the views exceeded projections by >60%! The CTR was significantly higher than a standard display buying campaign and the traffic to the landing page was qualified. The total number of comments exceeded 17,000 and the videos enjoyed almost 130,000 likes on the videos alone! The social shares across Facebook and Instagram drove that number up a great deal more.